Thunder Bay is a city in, and the seat of, Thunder Bay District, Ontario, Canada. It is the most populous municipality in Northwestern Ontario with a population of 107,909 as of the Canada 2016 Census, and the second most populous in Northern Ontario after Greater Sudbury. Located on Lake Superior, the census metropolitan area of Thunder Bay has a population of 121,621, and consists of the city of Thunder Bay, the municipalities of Oliver Paipoonge and Neebing, the townships of Shuniah, Conmee, O'Connor, and Gillies, and the Fort William First Nation. European settlement in the region began in the late 17th century with a French fur trading outpost on the banks of the Kaministiquia River. It grew into an important transportation hub with its port forming an important link in the shipping of grain and other products from western Canada, through the Great Lakes and the Saint Lawrence Seaway, to the east coast. Forestry and manufacturing played important roles in the city's economy. They have declined in recent years, but have been replaced by a "knowledge economy" based on medical research and education. Thunder Bay is the site of the Thunder Bay Regional Health Research Institute. The city takes its name from the immense Thunder Bay at the head of Lake Superior, known on 18th-century French maps as Baie du Tonnerre (Bay of Thunder). The city is often referred to as the "Lakehead", or "Canadian Lakehead", because of its location at the end of Great Lakes navigation on the Canadian side of the border. "Canada’s Gateway to the West", "T-Bay", "Lakehead" or "The Lakehead"
European settlement at Thunder Bay began with two French fur trading posts (1683, 1717) which were subsequently abandoned (see Fort William, Ontario). In 1803, the Montreal-based North West Company established Fort William as its mid-continent entrepôt. The fort thrived until 1821 when the North West Company merged with the Hudson's Bay Company, and Fort William was no longer needed. By the 1850s, the Province of Canada began to take an interest in its western extremity. Discovery of copper in the Keweenaw Peninsula of Michigan had prompted a national demand for mining locations on the Canadian shores of Lake Superior. In 1849, French-speaking Jesuits established the Mission de l'Immaculée-Conception (Mission of the Immaculate Conception) on the Kaministiquia to evangelize the Ojibwe. The Province of Canada negotiated the Robinson Treaty in 1850 with the Ojibwa of Lake Superior. As a result, an Indian reserve was set aside for them south of the Kaministiquia River. In 1859–60, the Department of Crown Lands surveyed two townships (Neebing and Paipoonge) and the Town Plot of Fort William for European-Canadian settlement. Another settlement developed a few miles to the north of Fort William after construction by the federal Department of Public Works of a road connecting Lake Superior with the Red River Colony. The work was directed by Simon James Dawson (see Port Arthur, Ontario). This public works depot or construction headquarters acquired its first name in May 1870 when Colonel Garnet Wolseley named it Prince Arthur's Landing. It was renamed Port Arthur by the Canadian Pacific Railway (CPR) in May 1883. The arrival of the CPR in 1875 sparked a long rivalry between the towns, which did not end until their amalgamation in 1970. Until the 1880s, Port Arthur was a much larger and dynamic community. The CPR, in collaboration with the Hudson's Bay Company, preferred east Fort William, located on the lower Kaministiquia River where the fur trade posts were. Provoked by a prolonged tax dispute with Port Arthur and its seizure of a locomotive in 1889, the CPR relocated all its employees and facilities to Fort William. The collapse of silver mining after 1890 undermined the economy of Port Arthur. It had an economic depression, while Fort William thrived. In the era of Sir Wilfried Laurier, Thunder Bay began a period of extraordinary growth, based on improved access to markets via the transcontinental railway and development of the western wheat boom. The CPR double-tracked its Winnipeg–Thunder Bay line. The Canadian Northern Railway established facilities at Port Arthur. The Grand Trunk Pacific Railway began construction of its facilities at the Fort William Mission in 1905, and the federal government began construction of the National Transcontinental Railway. Grain elevator construction boomed as the volume of grain shipped to Europe increased. Both cities incurred debt to grant bonuses to manufacturing industries. By 1914, the twin cities had modern infrastructures (sewers, potable water supply, street lighting, electric light, etc.) Both Fort William and Port Arthur were proponents of municipal ownership. As early as 1892, Port Arthur built Canada's first municipally-owned electric street railway. Both cities spurned Bell Telephone Company of Canada to establish their own municipally-owned telephone systems in 1902. The boom came to an end in 1913–1914, aggravated by the outbreak of the First World War. A war-time economy emerged with the making of munitions and shipbuilding. Men from the cities joined the 52nd, 94th, and 141st Battalions of the Canadian Expeditionary Force. Railway employment was hurt when the federal government took over the National Transcontinental Railway and Lake Superior Division from the Grand Trunk in 1915, and the Canadian Northern Railway in 1918. These were amalgamated with other government-owned railways in 1923 to form the Canadian National Railways. The CNR closed many of the Canadian Northern Railway facilities in Port Arthur. It opened the Neebing yards in Neebing Township in 1922. By 1929, the population of the two cities had recovered to pre-war levels. The forest products industry has played an important role in the Thunder Bay economy from the 1870s. Logs and lumber were shipped primarily to the United States. In 1917, the first pulp and paper mill was established in Port Arthur. It was followed by a mill at Fort William, in 1920. Eventually there were four mills operating. Manufacturing resumed in 1937 when the Canada Car and Foundry Company plant (opened during late World War I to produce naval ships and railcars) re-opened to build aircraft for the British. Now run by Bombardier Transportation, the plant has remained a mainstay of the post-war economy. It has produced forestry equipment and transportation equipment for urban transit systems, such as the Toronto Transit Commission and GO Transit. On 1 January 1970, the City of Thunder Bay was formed through the merger of the cities of Fort William, Port Arthur, and the geographic townships of Neebing and McIntyre. Its name was the result of a referendum held previously on 23 June 1969, to determine the new name of the amalgamated Fort William and Port Arthur. Officials debated over the names to be put on the ballot, taking suggestions from residents including "Lakehead" and "The Lakehead". Predictably, the vote split between the two, and "Thunder Bay" was the victor. The final tally was "Thunder Bay" with 15,870, "Lakehead" with 15,302, and "The Lakehead" with 8,377. There was more controversy over the selection of a name for the amalgamated city than over whether to amalgamate. A vocal minority of the population preferred "The Lakehead". There was much discussion about other cities in the world that use the word "The" in their names. The area was often referred to as "The Lakehead" before and after amalgamation based on its geographic location. It was seen as the "head" of shipping on the Great Lakes and the "rail head". The expansion of highways, beginning with the Trans-Canada Highway, and culminating with the opening of Highway 17 (linking Sault Ste Marie to Thunder Bay in 1960), has significantly diminished railway and shipping activity since the 1970s and 80s. Shipping on the Saint Lawrence Seaway was superseded by trucking on highways. Grain shipping on the Great Lakes to the East has declined substantially in favour of transport to Pacific Coast ports. As a result, many grain elevators have been closed and demolished. The Kaministiquia River was abandoned by industry and shipping. Thunder Bay has become the regional services centre for Northwestern Ontario with most provincial departments represented. Lakehead University, established through the lobbying of local businesspeople and professionals, has proven to be a major asset. Another upper level institution is Confederation College. The same businessmen and professionals who helped attract the university and college were the driving force(s) behind the political amalgamation of Fort William and Port Arthur in 1970. The city has an area of 328.48 square kilometres, which includes the former cities of Fort William and Port Arthur, as well as the [former] townships of Neebing and McIntyre. The city reflects the settlement patterns of the 19th century and sprawls. Anchoring the west end of the city, the Fort William Town Plot, surveyed in 1859–60, was named West Fort William (or Westfort) in 1888 by the CPR. The land adjoining the lower Kaministiquia River became the residential and central business district of the town and city of Fort William. A large uninhabited area adjoining the Neebing and McIntyre rivers, which became known as Intercity, separated Fort William from the residential and central business district of Port Arthur. At the extreme east of the city, a part of McIntyre Township was annexed to the town of Port Arthur in 1892, forming what later became known as the Current River area. The former Port Arthur section is more typical of the Canadian Shield, with gently sloping hills and very thin soil lying on top of bedrock with many bare outcrops. Thunder Bay, which gives the city its name, is about 22.5 kilometres (14.0 mi) from the Port Arthur downtown to Thunder Cape at the tip of the Sleeping Giant. The former Fort William section occupies flat alluvial land along the Kaministiquia River. In the river delta are two large islands: Mission Island and McKellar Island. Since 1970, the central business districts of Fort William and Port Arthur have suffered a serious decline. Business and government relocated to new developments in the Intercity area. There has also been substantial residential growth in adjacent areas of the former Neebing and McIntyre townships. The Thunder Bay area experiences a warm-summer humid continental climate (Köppen: Dfb) and a continental subarctic (Dfc) influence in northeastern areas of the city (including that affected by Lake Superior), but not necessarily falling in this zone. This results in warmer summer (or cooler) temperatures and warmer winter temperatures for an area extending inland as far as 16 km. The average daily temperatures range from 17.7 °C (63.9 °F) in July to −14.3 °C (6.3 °F) in January. The average daily high in July is 24.3 °C (75.7 °F) and the average daily high in January is −8.0 °C (17.6 °F). On 10 January 1982, the local temperature in Thunder Bay dropped to −36.3 °C (−33.3 °F), with a wind speed of 54 km (34 mi) per hour for a wind chill temperature that dipped to −58 °C (−72.4 °F). As a result, it holds Ontario's record for coldest day with wind chill. The highest temperature ever recorded in Thunder Bay was 40.3 °C (104.5 °F) on 7 August 1983. The coldest temperature ever recorded was −43.2 °C (−45.8 °F) on 31 January 1996. The city is quite sunny, with an average of 2121 hours of bright sunshine each year, ranging from 268.1 hours in July to 86.2 hours in November, sunnier than any city in Canada located to the east of it. Winters are comparatively dry with the snowfall being very limited and temperatures much colder than in Houghton, Michigan on the U.S. side of the lake, where the climate is marked by heavy lake-effect snow. Thunder Bay has more of a continental climate in comparison. In 2012, Thunder Bay was the city with the highest per-capita rate of homicides in Canada. Winnipeg had previously held the distinction of having the highest rate from the years 2007 to 2011. In 2014, the per-capita rate of homicides in Thunder Bay was more than double the 2012 rate, and was over 2.5 times higher than the city with the next highest rate. However, between 2014 and 2015, the crime rate decreased by 6%. This was the second highest decrease in any major Canadian city, behind only Moncton, New Brunswick. The Port of Thunder Bay, as seen from Hillcrest Park in June 2006. Thunder Bay is composed of two formerly separate cities, Port Arthur and Fort William. Both still retain much of their distinct civic identities, reinforced by the buffering effect of the Intercity area between them. Port Arthur and Fort William each have their own central business districts and suburban areas. Some of the more well-known neighbourhoods include: the Bay and Algoma area, which has a large northern European population centered around the Finnish Labour Temple and the Italian Cultural Centre; Simpson-Ogden and the East End, two of the oldest neighbourhoods in Fort William located north of Downtown Fort William; Intercity, a large business district located between Fort William and Port Arthur; Current River, the northernmost neighbourhood of Port Arthur; and Westfort, the oldest settlement in Thunder Bay. Within city limits are some small rural communities, such as Vickers Heights and North McIntyre, which were located in the former townships of Neebing and McIntyre, respectively. The city is governed by a mayor and twelve councillors. The mayor and five of the councillors are elected at large by the whole city. Seven councillors are elected for the seven wards: Current River Ward, McIntyre Ward, McKellar Ward, Neebing Ward, Northwood Ward, Red River Ward, and Westfort Ward. Thunder Bay is represented in the Canadian Parliament by Don Rusnak, and Patty Hajdu, both members of the Liberal Party of Canada, and in the Ontario Legislature by Michael Gravelle of the Ontario Liberal Party and Judith Monteith-Farrell on the Ontario New Democratic Party. A large formation of mesas on the Sibley Peninsula in Lake Superior which resembles a reclining giant has become a symbol of the city. Sibley peninsula partially encloses the waters of Thunder Bay, and dominates the view of the lake from the northern section of the city (formerly Port Arthur). The Sleeping Giant also figures on the city's coat of arms and the city flag. 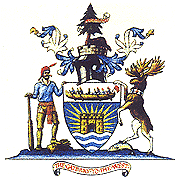 The Coat of Arms of the City of Thunder Bay, which incorporates features from the coats of arms of Port Arthur and Fort William. The Coat of arms of Thunder Bay, Ontario is a combination of the coats of arms of both Port Arthur and Fort William, with a unifying symbol—the Sleeping Giant—at the base of the arms. The city logo depicts a stylized thunderbird, called Animikii, a statue of which is located on the city's Kaministiquia River Heritage Park. The slogan, Superior by Nature, is a double play on words reflecting the city's natural setting on Lake Superior. Thunder Bay's flag was created in 1972, when mayor Saul Laskin wanted to promote the city by having a distinctive flag. The city held a contest, which was won by Cliff Redden. The flag has a 1:2 ratio, and depicts a golden sky from the rising sun behind the Sleeping Giant, which sits in the blue waters of Lake Superior. The sun is represented by a red maple leaf, a symbol of Canada. Green and gold are Thunder Bay's city colours. Thunder Bay has five sister cities on three continents, which are selected based on economic, cultural and political criteria. As the largest city in Northwestern Ontario, Thunder Bay is the region's commercial, administrative and medical centre. Many of the city's largest single employers are in the public sector. The City of Thunder Bay, the Thunder Bay Regional Health Sciences Centre, the Lakehead District School Board and the Government of Ontario each employ over 1,500 people. Resolute Forest Products is the largest private employer, employing over 1,500 people. Bombardier Transportation operates a 553,000 square feet (51,400 m2) plant in Thunder Bay which manufactures mass transit vehicles and equipment, employing approximately 800 people. The plant was built by Canadian Car and Foundry to build railway box cars in 1912, began building passenger railcar and transit cars from 1963 onwards Bombardier acquired the facility from UTDC in 1992, which had acquired it from Cancar in 1984. Lack of innovation by traditional industries, such as forest products, combined with high labour costs have reduced the industrial base of Thunder Bay by close to 60%. The grain trade has declined because of the loss of grain transportation subsidies and the loss of European markets. The gradual transition from shipping by train and boat to shipping by truck, and the Canada–United States Free Trade Agreement have ended Thunder Bay's privileged position as a linchpin in Canadian east–west freight-handling trade. As a result, the city has lost its traditional raison d'être as a break-bulk point. However, in recent years shipments through the port of Thunder Bay have stabilized, and remains an important part of the Saint Lawrence Seaway. In an effort to rejuvenate its economy, the city has been actively working to attract quaternary or "knowledge-based" industries, primarily in the fields of molecular medicine and genomics. The city is home to the western campus of the Northern Ontario School of Medicine, the first medical school to open in Canada in a generation. The city also has a law school. Thunder Bay receives air, rail and shipping traffic due to its prime location along major continental transportation routes. The municipally owned Thunder Bay Transit operates 17 routes across the city's urban area. The city is served by the Thunder Bay International Airport, the fourth busiest airport in Ontario by aircraft movements. The main highway through the city is Highway 11/17, a four-lane highway designated as the Thunder Bay Expressway. The city is an important railway hub, served by both the Canadian National and Canadian Pacific Railway. Passenger rail service to Thunder Bay ended on 15 January 1990, with the cancellation of Via Rail's southern transcontinental service. Thunder Bay has been a port since the days of the North West Company which maintained a schooner on Lake Superior. The Port of Thunder Bay is the largest outbound port on the St. Lawrence Seaway System, and the sixth largest port in Canada. The Thunder Bay Port Authority manages Keefer Terminal, built on a 320,000 square metre site on Lake Superior. Thunder Bay has one major hospital, the Thunder Bay Regional Health Sciences Centre. Other health care services include the St. Joseph's Care Group, which operates long term care centres such as the Lakehead Psychiatric Hospital, St. Joseph's Hospital, and Hogarth Riverview Manor. The Northern Ontario School of Medicine has a campus at Lakehead University. The city is also home to a variety of smaller medical and dental clinics. According to the 2016 Census, there were 107,909 people residing in Thunder Bay on 10 May 2016, of whom 48.8% were male and 51.2% were female. Residents 19 years of age or younger accounted for approximately 19.9% of the population. People aged by 20 and 39 years accounted for 25.0%, while those between 40 and 64 made up 35.1% of the population. The average age of a Thunder Bayer in May 2016 was 43.3, compared to the average of 41.0 for Canada as a whole. Between the censuses of 2011 and 2016, Thunder Bay's population decreased by 0.1%, compared to an increase of 4.6% for Ontario and 5.0% for Canada. The population density of the city of Thunder Bay averaged 328.6 people per square kilometre, compared with an average of 14.8 for Ontario. The total population has been stagnant or declining since amalgamation in 1970. A further 13,712 people lived in Thunder Bay's Census Metropolitan Area, which apart from Thunder Bay includes the municipalities of Neebing and Oliver Paipoonge, the townships of Conmee, Gillies, O'Connor and Shuniah, and the aboriginal community of Fort William First Nation. According to the census, Thunder Bay was home to 13,565 people of Finnish descent, the highest concentration of people of Finnish origin per capita in Canada. Thunder Bay has a large Aboriginal population representing 13.2% of the population, while visible minorities represent 4% of the population. The 2001 census states that 82.0 per cent of Thunder Bay residents belonged to a Christian denomination: 39.8% of the total population was Roman Catholic, 39.5% were Protestant, and 2.6% followed other Christian denominations, mostly Eastern Orthodox. Those who followed other religions made up less than 1% of the population, while the remaining 17.0% were non-religious or did not respond. Thunder Bay's main tourist attraction is Fort William Historical Park, a reconstruction of the North West Company's Fort William fur trade post as it was in 1815, which attracts 100,000 visitors annually. The marina in downtown Port Arthur, an area known as The Heart of the Harbour, draws visitors for its panoramic view of the Sleeping Giant and the presence of various water craft. The marina also includes a lake walk, playground, harbour cruises, a children's museum, and a Chinese/Canadian restaurant. There are several small surface amethyst mines in the area, some of which allow visitors to search for their own crystals. A 2.74 m (9 ft) statue of Terry Fox is situated at the Terry Fox Memorial and Lookout on the outskirts of the city near the place where he was forced to abandon his run. Other tourists attractions are listed below. Hillcrest Park, looking south to Fort William. Thunder Bay has 38 elementary schools, 3 middle schools, 8 secondary schools, 2 private schools, and an adult education facility. The city also has several other private for-profit colleges and tutoring programmes. Post secondary institutions in Thunder Bay include Confederation College and Lakehead University. The Lakehead District School Board is the largest school board in the city, with 22 elementary schools, 4 secondary schools and a centre for adult studies. The Thunder Bay Catholic District School Board is the second largest with 16 elementary schools, 3 middle schools and 2 high schools. Conseil scolaire de district catholique des Aurores boréales operates one elementary and one high school in Thunder Bay, and an additional six schools throughout the Thunder Bay District. The city of Thunder Bay was declared a "Cultural Capital of Canada" in 2003. Throughout the city are cultural centres representing the diverse population, such as the Finnish Labour Temple, Scandinavia House, the Italian Cultural Centre, the Polish Legion, and a wide variety of others. Shags, a combination shower and stag held to celebrate the engagement of a couple, and Persians, a cinnamon bun pastry with pink icing, originated in the city. Thunder Bay is served by the Thunder Bay Public Library, which has four branches. Events in the city include Thunder Pride, an LGBT pride parade held since 2010, and the annual Canadian Lakehead Exhibition. Thunder Bay is home to a variety of music and performance arts venues. The largest professional theatre is Magnus Theatre. Founded in 1971, it offers six stage plays each season and is located in the renovated Port Arthur Public School on Red River Road. The Thunder Bay Community Auditorium, which seats 1500, is the primary venue for various types of entertainment. It is the home of the Thunder Bay Symphony Orchestra, which has 30 full-time and up to 20 extra musicians presenting a full range of classical music. New Music North is vital to the contemporary classical music scene in the city by offering intriguing and novel contemporary chamber music concerts. The Vox Popular Media Arts Festival, established in 2005, is an independent film festival that features local, national, and international films with the theme of "Films for the People." The festival is held in early October at 314 Bay Street in the historic Finnish Labour Temple. Thunder Bay is also home to the North of Superior Film Association (NOSFA). Established in 1992, the NOSFA features monthly screenings of international and Canadian films at the Cumberland Cinema Centre, and organized the annual Northwest Film Fest film festival that attracts several thousand patrons. Two of Thunder Bay's festivals were included in the 2018 list of the 100 best festival compiled by Festivals and Events Ontario: Teddy Bears Picnic and Live on the Waterfront, the former also being recognized as best promotional campaign and sponsor of the year. The Northwestern Ontario Writers Workshop (NOWW), founded in 1997, is the largest of several writing groups based in Thunder Bay. Its mission is "to encourage and promote the development of the writers and literature of Northwestern Ontario." NOWW does this through a number of activities including regular workshops, monthly readings (summer excepted), an eWriter in Residence program, and other events designed to help and inspire writers in the region. NOWW also hosts an annual LitFest in May which includes an awards presentation to the winners of its international annual writing contest. Past contest judges include a Who's Who of Canadian writers such as Heather O'Neill, Michael Christie, Jane Urquhart, and Liz Howard. The Thunder Bay Art Gallery, which was founded in 1976, specializes in the works of First Nations artists, having a collection of national significance. The Thunder Bay Historical Museum Society, founded in 1908, presents local and traveling exhibitions and houses an impressive collection of artifacts, photographs, paintings, documents and maps in its archives. The City of Thunder bay also houses the Northwestern Ontario Sports Hall of Fame, and the Thunder Bay Military Museum (housed within the O'Kelley Armoury on Park Street). Both are part of HMCS Griffin. Assumption of the Blessed Virgin Mary Church – Ukrainian Orthodox. The original wooden church, built by Ukrainian Orthodox families in 1911/1912, was almost destroyed by fire in 1936. The current church was built on the same site and opened in 1937. It has decorative gold domes that are characteristic of Ukrainian churches of the Bukovina area, with Orthodox crosses atop the domes. Calvary Lutheran Church was established in 1958 as a mission congregation of the Minnesota North District (USA). The Church of Jesus Christ of Latter-day Saints (LDS Church). The church has a family history library open to anyone to research their genealogy. Elim Community Christian Centre. Pentecostal Church located in Current River area of the city which is now named Refreshing Waters Community Church. Evangel Church. Contemporary Pentecostal church with a strong emphasis on children, youth and (with their convenient location next to Lakehead University) young adults. First-Wesley United Church. The current Wesley United Church was preceded by a much smaller structure, Grace Methodist Church, which was built in 1891 and had a capacity of 100 people. The current Gothic 1,025 seat sanctuary was constructed in 1910. Hilldale Lutheran Church. Offers services in both English and Finnish. The church has an intimate atmosphere and wonderful acoustics, and is frequently used for musical performances. Holy Trinity Greek Orthodox Church. Founded in 1918, the church moved to its present building in 1991. The church is active in providing non-profit housing for needy families. Hope Christian Reformed Church. Services are recorded so that anyone with an internet connection may listen. Kitchitwa Kateri Anamewgamik. Roman Catholic communal church geared to Native culture and teachings. A drop-in centre provides coffee and serves soup & bannock. Lakehead Unitarian Fellowship. This Unitarian Universalist community includes Christians, Buddhists, Pagans, Theists, Non-theists, Humanist-agnostics, and Atheists. They welcome and celebrate the presence and participation of gay, lesbian, bisexual and transgender persons. Redwood Park Church Contemporary member of the Christian Missionary Alliance. Runs an outreach at the old building on Edward street with a food bank and a clothing store. Saalem Church. Offers services in both English and Finnish. Shaarey Shomayim Congregation – Jewish Synagogue. This egalitarian community has the only mikvah between Winnipeg and Toronto. Shepherd of Israel Congregation – Messianic Jewish. Affiliated with Evangelical movement. St. Agnes Church. Roman Catholic Church. Founded in 1885, the new St. Agnes Church and Hall was dedicated on 6 June 1982. St. Vincent de Paul Society operates a food bank out of this church. St Stephen the Martyr Anglican Church. Provides a food cupboard for the Current River area. St. John the Evangelist Anglican Church. Founded in 1872, the current building was erected in 1884. St. Patrick's Cathedral – Roman Catholic. The old St. Patrick's Church was built in 1893. In 1963 it was replaced by the current cathedral on the same site. St Paul's Anglican Church. Historic, stately parish built in the English Gothic style. St. Anthony's Parish - Roman Catholic. Located in The John-Jumbo area of Port Arthur. Thunder Bay's proximity to the wilderness of the Boreal Forest and the rolling hills and mountains of the Canadian Shield allow its residents to enjoy very active lifestyles. The city has hosted several large sporting events including the Summer Canada Games in 1981, the Nordic World Ski Championships in 1995, the Continental Cup of Curling in 2003, and the World Junior Baseball Championship in 2010 & 2017. Thunder Bay enjoys many recreational facilities. The city operates fifteen neighbourhood community centres, which offer various sporting and fitness facilities as well as seasonal activities such as dances. The city also operates six indoor ice rinks and 84 seasonal outdoor rinks, two indoor community pools and three seasonal outdoor pools as well as a portable pool and two maintained public beaches, several curling sheets, and three golf courses, among others. Listed below are some of the city's major facilities. Thunder Bay is also home to the National Development Centre – Thunder Bay, an elite cross-country ski team that attracts many of Canada's best Junior and U-23 skiers. Thunder Bay has one daily newspaper, The Chronicle-Journal, which has a circulation of approximately 28,000 and has coverage of all of Northwestern Ontario. The Chronicle Journal publishes a free weekly called Spot every Thursday, focusing on entertainment. There are two weekly newspapers: Thunder Bay's Source, a weekly newspaper operated by Dougall Media, and Canadan Sanomat, a Finnish-language weekly newspaper. Lakehead University has a student newspaper called The Argus, which is published weekly during the school year. The city publishes a bi-monthly newsletter to citizens titled yourCity, which is also available online in a PDF format, by electronic subscription and RSS feed. Three English-language stations supply Thunder Bay with free digital over-the-air television. Programming from the Global and CTV networks is provided by a locally owned twinstick operation branded as Thunder Bay Television, and the city receives TVOntario on channel 9. CBC Television and Ici Radio-Canada Télé are available only on cable and satellite in the area. The cable provider in Thunder Bay is Shaw; although locally owned TBayTel has been granted a license by the Canadian Radio-television and Telecommunications Commission (CRTC) to compete in the cable TV market. The community channel on Shaw Cable is branded as Shaw TV, and airs on cable channel 10. WBKP TV channel 5, the CW affiliate in Calumet, Michigan, can be received in Thunder Bay with an outdoor roof antenna and a digital-capable television or receiver. Thunder Bay is home to 12 radio stations, all of which broadcast on the FM band. There are four commercial radio stations based in the city — Rock 94 and 91.5 CKPR, owned by Dougall Media, the parent company of Thunder Bay Television and Thunder Bay's Source, and 99.9 The Bay and Country 105, owned by Acadia Broadcasting. One additional station, Energy 103/104, targets the Thunder Bay market from transmitters in Kaministiquia and Shuniah. The city receives CBC Radio One as CBQT-FM and CBC Radio 2 as CBQ-FM, at 88.3 FM and 101.7 FM respectively. The French Première Chaîne is available as a repeater of Sudbury-based CBON-FM on 89.3 FM. Lakehead University operates a campus radio station, CILU-FM, at 102.7 FM, and CJOA-FM 95.1 broadcasts Christian-oriented programming and is run by a local non-profit group. Thunder Bay Information Radio CKSI-FM is broadcast 24/7 on 90.5 and is also the city's emergency radio station. ^ "Canada's Gateway to the West". Port of Thunder Bay. Retrieved 3 December 2018. ^ Smith, Jamie. "Norm Gale appointed city manager at city council meeting Monday," TB News Watch (11 January 2016). Retrieved 10 January 2016. ^ City Hall, Thunder Bay City Council. Retrieved 2 June 2007. ^ Municipal Code, by-law 218-2003. Retrieved 2 June 2007. ^ a b "Thunder Bay, Ontario (Code 3558004) census profile". 2011 Census of Population. Statistics Canada. 8 February 2012. Retrieved 25 April 2013. ^ a b "Thunder Bay (census metropolitan area) (Code 595) census profile". 2011 Census of Population. Statistics Canada. 8 February 2012. Retrieved 25 April 2013. ^ a b "Thunder Bay (population centre) (Code 0935) census profile". 2011 Census of Population. Statistics Canada. 8 February 2012. Retrieved 25 April 2013. ^ The Port of Thunder Bay, The Transportation Sector. City of Thunder Bay. Retrieved 30 November 2007. ^ "Canadian Climate Normals 1971–2000". Thunder Bay A, Ontario: Environment Canada. 19 January 2011. Retrieved 12 April 2012. ^ a b c Brief History of Thunder Bay, City of Thunder Bay. Retrieved 5 June 2007. ^ F.B. Scollie, "Falling into Line : How Prince Arthur's Landing Became Port Arthur," Thunder Bay Historical Museum Society Papers and Records, XIII (1985) 8–19. ^ "The City of Thunder Bay" (PDF). Archived from the original (PDF) on 4 March 2016. Retrieved 5 May 2013. 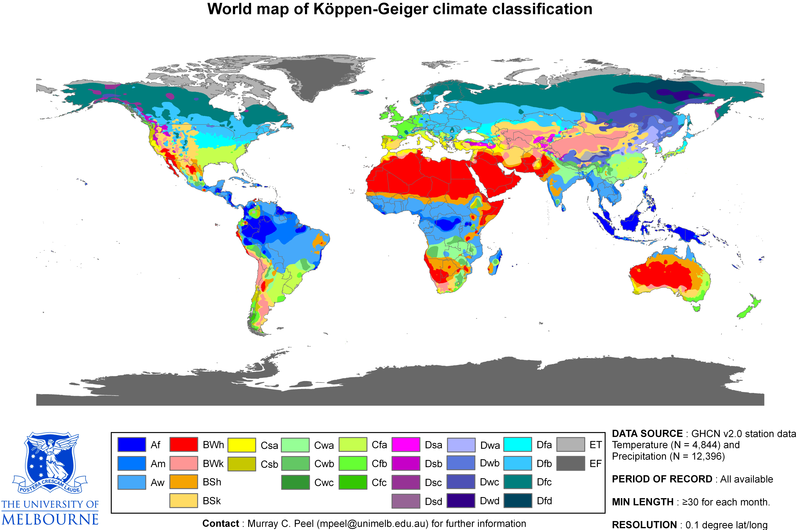 ^ Peel, Murray C. "World Map of Koppen-Geiger climate classification". The University of Melbourne. Retrieved 3 December 2018. ^ "Interactive Canada Koppen-Geiger Climate Classification Map". www.plantmaps.com. Retrieved 10 March 2019. ^ a b c "Thunder Bay A". Canadian Climate Normals 1981–2010. Environment Canada. Retrieved 29 September 2013. ^ "Thunder Bay Airport Hourly Data Report for January 10, 1982". Environment Canada. Archived from the original on 6 June 2014. Retrieved 3 June 2014. ^ a b "Fact Sheet−Winter Weather Warnings". Environment Canada. Archived from the original on 24 May 2008. Retrieved 3 June 2014. ^ "August 1983". 31 October 2011. Retrieved 15 April 2016. ^ "January 1996". 31 October 2011. Retrieved 15 April 2016. ^ "Environment Canada Monthly Summary". Archived from the original on 29 November 2014. Retrieved 22 November 2014. ^ "June 1995". 31 October 2011. Retrieved 15 April 2016. ^ "February 1996". 31 October 2011. Retrieved 15 April 2016. ^ "February 2000". 31 October 2011. Retrieved 15 April 2016. ^ "September 2005". 31 October 2011. Retrieved 15 April 2016. ^ "March 2010". 31 October 2011. Retrieved 15 April 2016. ^ "Port Arthur". 31 October 2011. Retrieved 15 April 2016. ^ "Thunder Bay shatters cold weather records". Retrieved 22 November 2014. ^ "Manitoba murder capital of Canada for fifth year in a row". CTV. 24 July 2012. ^ Comments, Posted: 12/19/2013 8:36 AM &#124 (19 December 2013). "Manitoba's homicide rate highest among provinces". Winnipeg Free Press. ^ "Statistics Canada report shows city has one of Canada's highest crime rates". TBNewswatch. 22 July 2015. ^ "Alternative format - Portable Document Format (PDF)" (PDF). 21 November 2018. ^ a b c Thunder Bay City Symbols. Retrieved 4 June 2007. ^ staff, Heather Peden, CJ. "Thunder Bay gains 5th sister city". The Chronicle-Journal. Retrieved 19 October 2018. ^ Major Employer List – Thunder Bay, 2006 45kb. Retrieved 2 September 2007. ^ a b Thunder Bay Top Private Sector Employers, Northern Ontario Business (May 2006). Retrieved 4 September 2007. ^ "Site Fact Sheet, Thunder Bay, Ontario, Canada" (PDF). Bombardier. Retrieved 3 December 2018. ^ 56-Year Cargo Statistics, Port of Thunder Bay. Retrieved 20 December 2009. ^ Genesis Genomics. Retrieved 2 September 2007. ^ TP 1496 Preliminary aircraft statistics 2006. Transport Canada. Retrieved 2 September 2007. ^ Port of Thunder Bay, official website. Retrieved 2 September 2007. ^ The People of Thunder Bay Archived 27 February 2008 at the Wayback Machine. Retrieved 1 September 2007. For 1911: Tronrud, Thorold J; Epp, Ernest A.; and others. (1995). Thunder Bay: From Rivalry to Unity Archived 7 February 2012 at the Wayback Machine. Thunder Bay Historical Museum Society, pp. 59. ISBN 0-920119-22-0. ^ "Planting the Municipal Ownership Idea in Port Arthur, 1875–1914." Urban History Review, Vol. XXVI, no. 1. October, 1997. ^ a b c Profile of Ethnic Origin for Thunder Bay Census Metropolitan Area, 2016 Census. Statistics Canada. Retrieved 24 March 2016. ^ City of Thunder Bay, 2016 Community Profile. Statistics Canada. Retrieved 24 March 2017. ^ Focus on Geography Series, Thunder Bay CMA. Statistics Canada. Retrieved 24 March 2018. ^ Ontario Amethyst: Mining Ontario’s Amethyst Archived 8 August 2007 at the Wayback Machine Ontario Ministry of Northern Development and Mines. Retrieved 4 August 2007. ^ Cultural Capitals of Canada 2003. Retrieved 4 June 2007. ^ Seven Wonders of Thunder Bay Archived 6 July 2011 at the Wayback Machine, Shags. Thunder Bay Source. Retrieved 11 June 2007. ^ Thunder Bay Food. Retrieved 11 June 2007. ^ The Universal Cynic (26 June 2006) Lexicon of Yore. Retrieved 11 June 2007. ^ Thunder Bay Symphony Orchestra. Retrieved 2 September 2007. ^ New Music North Archived 3 March 2016 at the Wayback Machine. Retrieved 2 August 2008. ^ Bay Street Film Festival Archived 16 July 2011 at the Wayback Machine. Retrieved 2 September 2007. ^ NOSFA Website. Retrieved 2 September 2007. ^ "Thunder Bay festivals earn provincial awards". CBC News. 4 March 2019. Retrieved 4 March 2019. ^ NOWW Website. Retrieved 24 September 2018. ^ "Ordnance Store". Government of Canada - Parks Canada. Retrieved 3 December 2018. ^ "Armoury". Government of Canada - Parks Canada. Retrieved 3 December 2018. ^ Thunder Bay Telephone (2007) TBayTel 2007–2008 Directory, Pages 56 to 58. ^ Golf Thunder Bay and Golflink – Thunder Bay Archived 27 September 2007 at the Wayback Machine. Retrieved 2 September 2007. ^ Sudbury Star and Sault Star Part of Media Buyout. Netnewsledger, 1 June 2007. Retrieved 8 June 2007. ^ Your City, Thunder Bay. Retrieved 2 September 2007. ^ Climate data was recorded at Port Arthur from July 1877 to July 1941, and at Thunder Bay Airport from August 1941 to present. Fort William was a city in Northern Ontario, located on the Kaministiquia River, at its entrance to Lake Superior. It amalgamated with Port Arthur and the townships of Neebing and McIntyre to form the city of Thunder Bay in January 1970. Since then it has been the largest city in Northwestern Ontario. The city's Latin motto was A posse ad esse (From a Possibility to an Actuality) featured on its coat of arms designed in 1900 by town officials, "On one side of the shield stands an Indian dressed in the paint and feathers of the early days; on the other side is a French voyageur; the center contains an elevator, a steamship and a locomotive, while the beaver surmounts the whole." The Lakehead Junior Hockey League is a Canadian Junior ice hockey league in Northwestern Ontario, sanctioned by Hockey Northwestern Ontario and Hockey Canada. An earlier edition of this league existed in the 1970s. The Thunder Bay-based league has produced one Keystone Cup Western Canada Junior "B" champion and six Brewers Cup Western Canada Junior "C" champions. Lakehead University is a public research university with campuses in Thunder Bay and Orillia, Ontario, Canada. Lakehead University, shortened to 'Lakehead U', or 'LU', is non-denominational and provincially supported. It has undergraduate programs, graduate programs, the Bora Laskin Faculty of Law, the only internationally accredited (AACSB) business school in northern Ontario, and is home to the western campus of the Northern Ontario School of Medicine. Lakehead has more than 45,000 alumni. The main campus in Thunder Bay has about 7,900 students. As of September 2006, a new permanent extension campus in Orillia, located about 150 kilometres (93 mi) north of Toronto, has about 1,400 students. The following is a list of the busiest airports in Canada. The airports are ranked by passenger traffic and aircraft movements. For each airport, the lists cite the city served by the airport as designated by Transport Canada, not necessarily the municipality where the airport is physically located. Port Arthur was a city in Northern Ontario, Canada, located on Lake Superior. In January 1970 it amalgamated with Fort William and the townships of Neebing and McIntyre to form the city of Thunder Bay. Port Arthur had been the district seat of Thunder Bay District. It is historically notable as the original eastern terminus of the Canadian Pacific Railway. It served as a major transshipment point for lakers that carried cargo to Port Arthur from across the Great Lakes. CPR's expansion to the east did little to affect the city's importance for shipping; the Canadian Northern Railway was constructed to serve the port, and it built numerous grain silos to supply lakers. This rail and grain trade diminished in the latter half of the 20th century. Port Arthur—Thunder Bay was a federal electoral district represented in the House of Commons of Canada from 1925 to 1935. It was located in the province of Ontario. This riding was created in 1924 from parts of Algoma West and Port Arthur and Kenora ridings. It consisted of the north-east parts of the territorial districts of Kenora and Thunder Bay. The electoral district was abolished in 1933 when it was merged into Port Arthur riding. The Superior International Junior Hockey League (SIJHL) is a Junior A ice hockey league that belongs to the Canadian Junior Hockey League (CJHL) and Hockey Canada. Winners of the SIJHL playoffs compete for the Dudley Hewitt Cup against the winners of the Ontario Junior Hockey League and the Northern Ontario Junior Hockey League. The winner of the Dudley Hewitt Cup then moves on to compete for the Royal Bank Cup. Tbaytel, formerly the Thunder Bay Telephone Company, is a municipally-owned telecommunications company operating in Thunder Bay, Ontario, Canada, and the surrounding area. Tbaytel's services include data, voice, wireless, internet, digital TV and security. Tbaytel claims to have Northern Ontario’s largest 4G Network within a 300,000 km2 area providing coverage along major highway corridors from just west of Sault Ste. Marie to the Manitoba border and north to Red Lake and Geraldton to the US border. Tbaytel operates HSPA+ and LTE networks. Presently, Tbaytel is the largest independently owned telecommunications provider in Canada. Tbaytel is wholly owned by the Corporation of the City of Thunder Bay. Tbaytel has paid dividends every year since the late 1990s to The City of Thunder Bay, with an annual dividend of approximately $3 million. Today this annual fixed dividend has increased to $17 million. As of 2017, total dividends paid by Tbaytel to the City of Thunder Bay exceed $200 million. Thunder Bay Chill is a Canadian soccer team based in Thunder Bay, Ontario, Canada. Founded in 2000, the team plays in USL League Two, the fourth tier of the American Soccer Pyramid. The team plays its home games at Fort William Stadium. The team's colours are white and blue. Thunder Bay District is a district and census division in Northwestern Ontario in the Canadian province of Ontario. The district seat is Thunder Bay. In 2016, the population was 146,048. The land area is 103,719.51 square kilometres (40,046.33 sq mi); the population density was 1.4 per square kilometre (3.6/sq mi). Most of the district (93.5%) is unincorporated and part of the Unorganized Thunder Bay District. The Thunder Bay Expressway is a four-lane highway with signalized intersections running on the western edge of Thunder Bay, in the Canadian province of Ontario. The route carries portions of Highway 61 as well as the concurrency of Highway 11 and Highway 17 around the city, from south of Arthur Street to Highway 527 northeast of it. The route was built in the late 1960s, opening between mid-1967 and late 1970. The old routes of Highway 11/17 and Highway 61 through Thunder Bay were redesignated as Highway 11B/17B and Highway 61B. Work is now ongoing to twin Highway 11/17 northeast to Nipigon. The Thunder Bay Flyers were a Junior "A" ice hockey team from Thunder Bay, Ontario, Canada. Thunder Bay International Airport, (IATA: YQT, ICAO: CYQT), is an airport in the city of Thunder Bay, Ontario, Canada. With 108,130 aircraft movements in 2012, it was the fourth busiest airport in Ontario and the 16th busiest airport in Canada. During the same year, more than 761,000 passengers went through the airport.The airport is classified as an airport of entry by Nav Canada and is staffed by the Canada Border Services Agency (CBSA). CBSA officers at this airport can handle aircraft with up to 40 passengers. The Thunder Bay Junior A Hockey League (TBJHL) was a Canadian Junior ice hockey league that existed from c. 1920 to 1980. The TBJHL operated in Northwestern Ontario, primarily in the Thunder Bay region. The Thunder Bay Junior A Hockey League was what is now known as a Major Junior hockey league from roughly 1920 until the Canadian Amateur Hockey Association realignment of 1970. After 1970, the TBJHL was relegated to Tier II Junior A and competed for the Manitoba Centennial Trophy until the league folded in 1980. Thunder Bay and the TBJHL was considered on the border region of what people would call Eastern Canada and Western Canada. Due to its location, the Thunder Bay league often switched from East to West year-to-year in National playdowns. The league's remoteness resulted in keeping the league's few teams from competing in the neighbouring Manitoba Junior Hockey League or Northern Ontario Junior Hockey League, making the league's existence a necessity to the region's hockey community. Thunder Bay Junior A Hockey League teams made the Memorial Cup finals four times in fifty years, winning Canada's top junior hockey prize in 1922 (Fort William War Veterans) and 1948 (Port Arthur West End Bruins). The TBJHL is the indirect predecessor of the Superior International Junior Hockey League who brought a Junior A league back to the region in 2001, 21 years after the TBJHL folded. Thunder Bay and Rainy River was a federal electoral district represented in the House of Commons of Canada from 1904 to 1917. It was located in the northwestern part of the province of Ontario. This riding was created in 1903 from parts of Algoma riding. It consisted of the territorial districts of Thunder Bay and Rainy River. The electoral district was abolished in 1914 when it was redistributed between Fort William and Rainy River and Port Arthur and Kenora ridings. Thunder Bay—Atikokan was a federal electoral district in northwestern Ontario, Canada, that was represented in the House of Commons of Canada from 1979 to 2003 and in the Legislative Assembly of Ontario from 1999 to 2007. The federal riding was created in 1976, from parts of Fort William and Thunder Bay ridings. It became a provincial riding in 1999. It initially consisted of the part of the Territorial District of Rainy River east of the 4th Meridian, including the whole of the Township of Atikokan; and the southwest part of the Territorial District of Thunder Bay, including the southern part of the city of Thunder Bay, Ontario. The electoral district was abolished in 2003 when it was redistributed between Thunder Bay—Rainy River and Thunder Bay—Superior North ridings. Thunder Bay—Rainy River is a federal electoral district in Ontario, Canada, that has been represented in the House of Commons of Canada since 2004. It first elected a member in the 2004 federal election. Thunder Bay—Superior North (French: Thunder Bay—Supérieur-Nord; formerly known as Thunder Bay—Nipigon) is a federal electoral district in Ontario, Canada, that has been represented in the House of Commons of Canada since 1976. It is in the northwestern part of the province of Ontario. It was created in 1976 as "Thunder Bay—Nipigon" from parts of Port Arthur and Thunder Bay ridings. It was renamed "Thunder Bay—Superior North" in 1998. It consists of the eastern part of the Territorial District of Thunder Bay including the northern part of the city of Thunder Bay, Ontario. 13.7% of the population of the riding are of Finnish ethnic origin, the highest such percentage in Canada.This riding lost a fraction of territory to Thunder Bay—Rainy River and gained territory from Algoma—Manitoulin—Kapuskasing during the 2012 electoral redistribution.